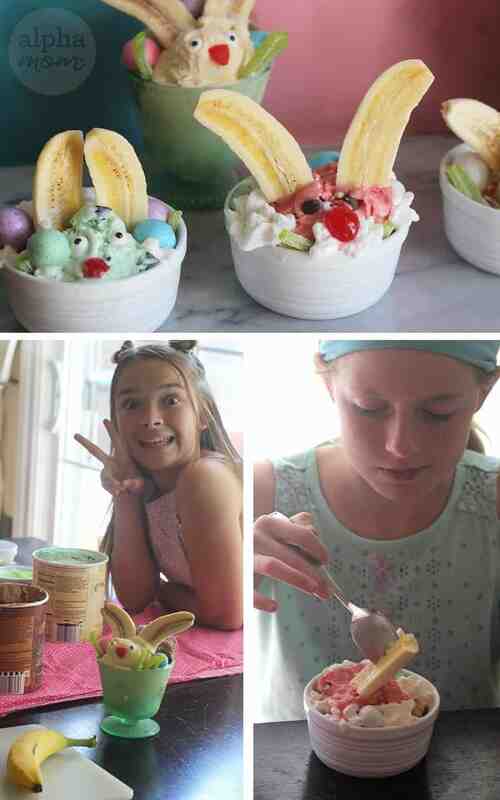 You know what would be fun treat for Easter Sunday? 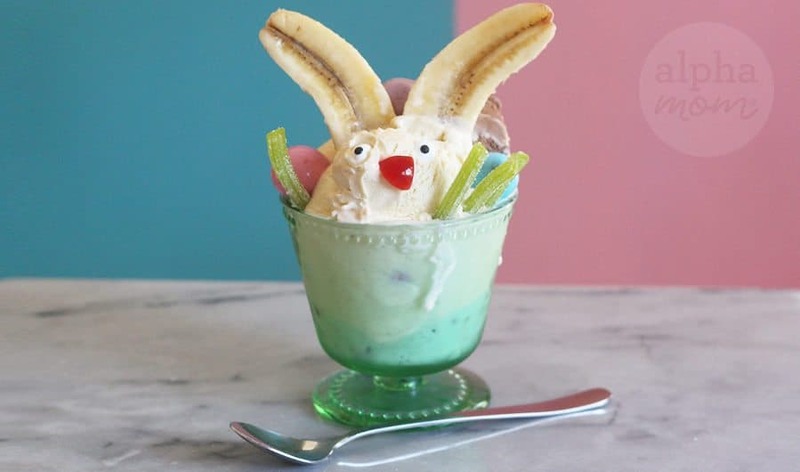 An Easter Bunny Sundae! Because of course! 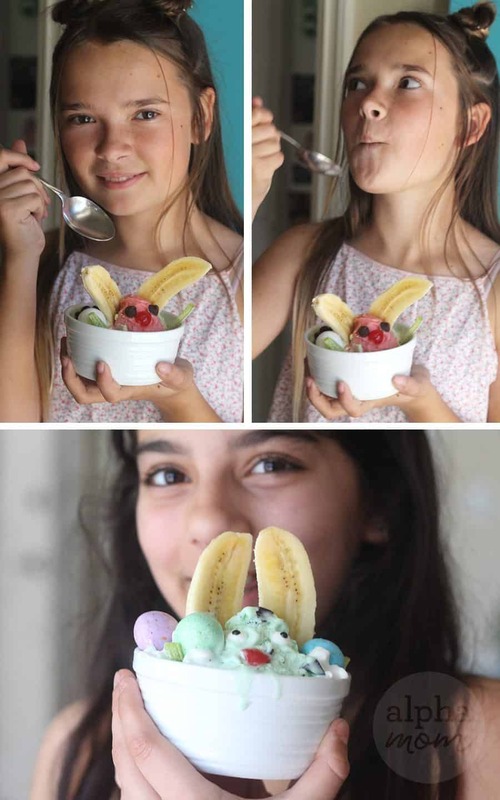 Simply scoop your ice cream into your ice cream dish (we opted for three scoops), making sure that one scoop is in the forefront for the bunny head. 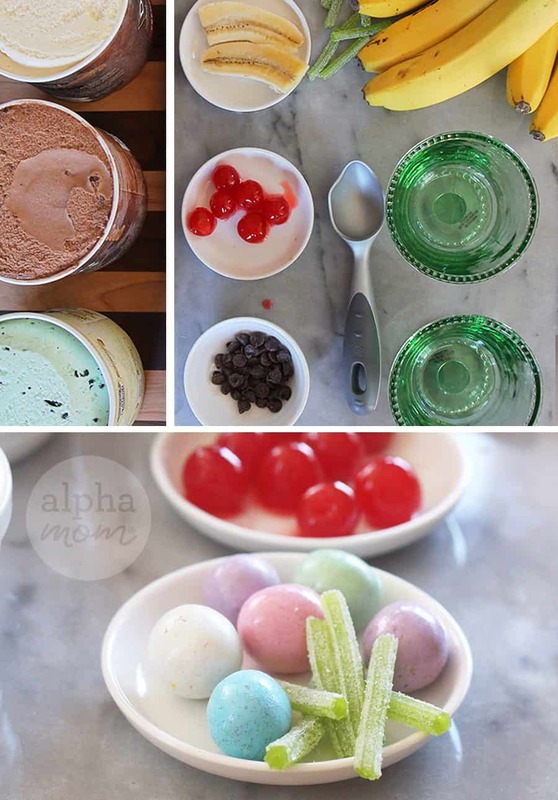 Then take a knife and cut two wedge-like slits into the ice cream on both sides. Take your banana slice and stick it into the slit. Use a toothpick to make sure it stands up. Then decorate your bunny with a maraschino cherry for a nose and chocolate chips (or candy eyeballs) for eyes. You can add candy eggs and sour straws around the bunny so he looks like he’s hiding in the grass. Serve and enjoy! 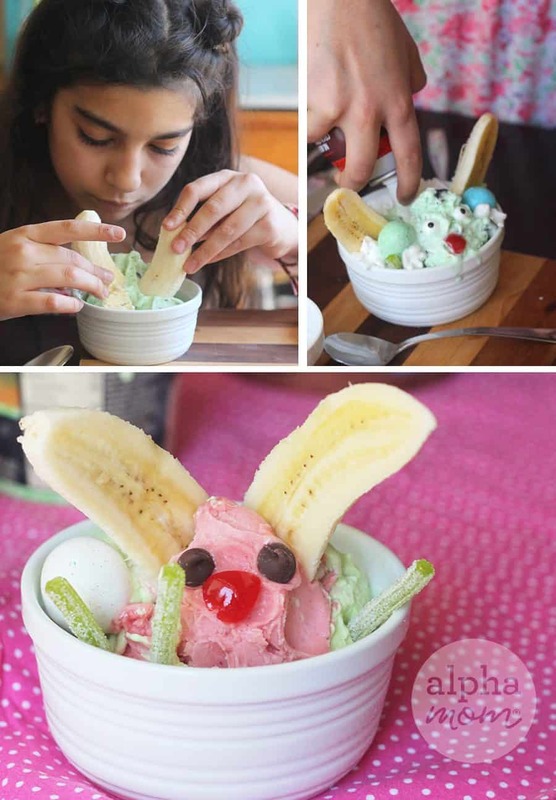 Or better yet, host an ice cream party of it and have all your friends over to see who can make the cutest bunny before the ice cream melts. No matter how funny your bunnies look we are sure they’ll bring Easter smiles! Enjoy!